There’s been no escaping the popularity of camping over the past few years. 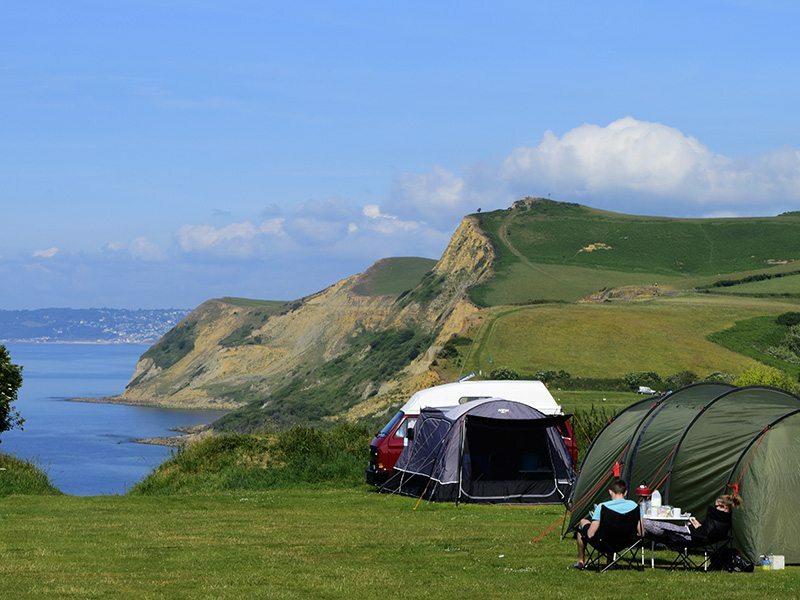 Newspaper and magazine articles – not to mention TV travel shows – now regularly flag up camping as one of the fastest growing holiday trends in Britain. It’s easy to get started, and it’s also inexpensive. But economy isn’t the only reason why so many couples and families of all ages take up camping. The fact is, camping is great fun – and nothing beats the sense of freedom or the pleasure of waking up surrounded by gorgeous countryside. If, as most people do, you make your pitch on a UK holiday park, there are plenty of other bonuses. A hot shower inside modern toilet and washroom facilities are just a stroll away, and there’ll often be a park shop with supplies of fresh food and other day-to-day necessities. That’s not all. On many parks, a cafe or restaurant will be there to supply your cooked breakfast, or just steaming mugs of coffee or tea. In addition, if you’ve chosen a park with leisure facilities such as a swimming pool or leisure centre, that’s already some of day’s activities taken care of. What if I like walking or cycling? For walkers and cyclists, holiday parks are also a great bet. Many are located in the heart of regions – in the country, or on the coast – which are the perfect launching pad for treks and bike rides which don’t involve having to drive first, or to negotiate busy roads. What sort of atmosphere can I expect? Holiday parks are well known for their relaxed and friendly atmospheres – often a reflection of the fact that most are family-run businesses with owners who take a deep personal pride in maintaining high standards and a welcoming environment for guests. What should I check when making a booking? It’s always a good idea to check the park rules when you make a booking. There’s rarely a long list of dos and don’ts, but it’s in everyone’s interests to be aware of what’s expected. For example, there’s often a nighttime curfew on noise so that everyone – especially youngsters – can enjoy a good night’s sleep. Check too on the latest arrival time, and when you are expected to leave on departure day, and check for any rules which might apply to you, such as where dogs can be exercised and the use of cooking stoves or barbecues. These days, many parks offer the option of electrical hook-up points for campers as well as caravanners. That doesn’t mean you have to bring your TV or microwave with you (though it is an option! ), but having somewhere to plug in lighting or a hair dryer can be useful. In fact, being able to enjoy home-from-home comforts is one of the reasons why camping has caught on so dramatically in recent years. The description of “glamping” (blending glamour with camping) is just another way of saying that you don’t have to suffer any hardships at all when you take up your tent for a weekend break or longer holiday. For example, most people arrive at a holiday park by car – so why bother spending money on specialist camping equipment when you can use what you already have at home? Sure, there are some great sleeping bags in the shops – but what’s wrong with the duvet you use at night, or the spare one from another bed? Airbeds? You can if you like, but a few cushions from the sofa will do the job just as well, if not better. The same applies to kitchen equipment. Do you really need a set of specialist lightweight cooking utensils when a frying pan and saucepan from the cupboard will do just as well? These days, one of the biggest economies comes from the purchase of the tent itself. Thanks to low-cost imports – notably from China – good quality tents come in at a fraction of the price they were a decade or so ago. Even for less than £100 it’s possible to buy a perfectly serviceable tent, and more highly specified models won’t stray far into three figures. Just one tip, though. A two-person tent will do what it says on the pack, but there won’t be that much extra space for your equipment, even if the bulk of it is kept in the car. An extra compartment or covered area will make life more comfortable for storing, say, shoes and your clothes after you remove them at night. Another word of advice is to spend a few minutes practising putting your new tent up in the garden before you leave. Trying to follow the instructions while the rest of the family sit in the car at the park, itching to get settled in, might not make the most harmonious start to the holiday. A possible breakdown in family relations could come if you haven’t reserved your stay in advance. In summer, many parks are booked to capacity – and it won’t do any good pointing out a place at the end of the grounds where you could pitch. Parks are licensed for a given number of tents, and can’t by law exceed that quantity. How much should I budget for my stay? A figure of between £10.00 and £20.00 per night is common, but it could be a few pounds more on parks with extensive facilities of which you will have free use during your stay. On some parks, that might even include nightly entertainment, organised children’s activities, and use of an indoor pool. If your tent is particularly large and exceeds the designated pitch space, you might be asked to pay a bit extra on some parks, so do double-check if this might apply to you. But otherwise, that’s all the cost involved – other than, of course, what you choose to spend on food and other activities. Camping a brilliantly economical way to take a holiday, and provides a sense of escape which is far removed from the stuffy atmosphere of a hotel or guest house. What does a David Bellamy Award mean? For children especially, camping can also help foster an appreciation for the natural world. In fact, world-famous botanist David Bellamy OBE – who is President of the British Holiday and Home Parks Association – says that camping in the Lake District as a boy helped fire his enthusiasm for nature, and make it his lifelong love and career. Today, David Bellamy runs an award scheme for holiday parks which take exceptional steps to protect, preserve and enhance the natural environment. You will find literally hundreds of camping parks on this website which have won his David Bellamy Conservation Award (at the bronze, silver or gold level) following an independent audit by a wildlife assessor, and David’s own assessment. Often, these parks will also have something extra to offer their human guests, in addition to delightful green surroundings. Features range from wildlife trails and butterfly gardens to badger-watches and wild food safaris. Just check each individual park for any activities they provide. When can I go camping? You’ll find that most holiday parks stay open at least from March to October inclusive, and others have even longer opening seasons. But if early spring or late autumn sounds just a tad too enthusiastic for a close encounter with the great outdoors, don’t forget that an increasing number of parks these days provide “camping pods” for hire. These are well insulated timber structures which give the camping experience without the need to bring a tent. Other parks offer ready-erected tents – including less familiar types such as yurts, tepees and Scottish Sheilings – which are sometimes at the luxury end of the scale with heating and even kitchens and bedrooms. The choice of camping experiences is enormous – and on British holiday parks, it’s one you’ll be keen to repeat again and again.